Summer started having seizures when she was only 9 years old. After EKG’s and then an MRI, her family got the most unimaginable and devastating news. She had stage 4 glioblastoma, an aggressive cancer that begins in the brain. Life came to a halt for the entire family: mom Tina and sisters Shawna and Scarlett. Only a few days later, Summer had surgery to remove the cancer which was followed by months of aggressive chemo and radiation therapy. Struggles with her illness continue. Summer has good days, bad days and deals with frequent anxiety and panic attacks. In the summer of 2017, Summer and her little sister Scarlett started coming to Kids Kicking Cancer’s Heroes Circle program. 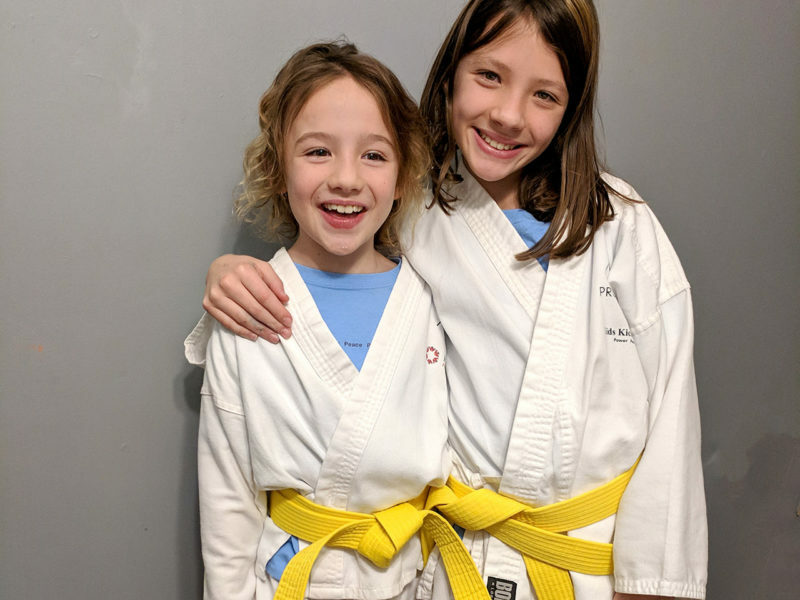 With the guidance of the specially trained black belt martial arts therapists, she has learned relaxation techniques and breathing exercises to help control pain and anxiety. Through a “Breath Brake” Summer “brings in the light and blows out the darkness”.